It is getting cold and winter is coming to Hachimantai. Today we would like to introduce how to enjoy winter in Hachimantai. If you want to enjoy winter sports, Panorama Ski slope will open in 15 December. It is located just behind our hotel ! so here is one of the perfect place for skier. If you like mountain climbing, going to see beautiful soft rime is recommended. Soft rime in Hachimantai is famous as one of the most beautiful soft rime in Japan. If you are spending busy days, ‘Doing nothing’ is also good choice. 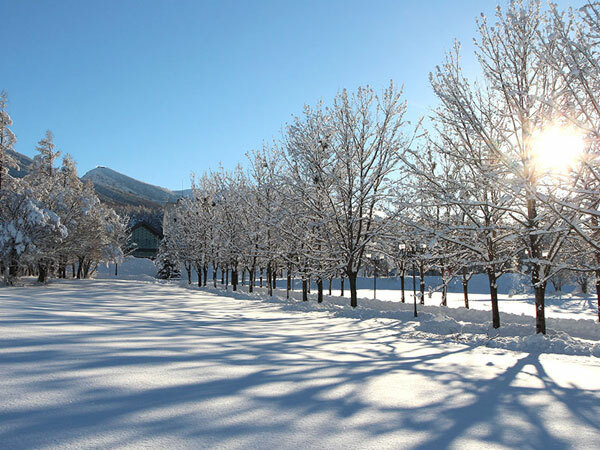 Enjoy seeing beautiful scenery with snow and heal yourself with hot spring. We have free shuttle service from Morioka station. ※Advanced Booking is neccesary . please call us by 3days before your arrival for reservation. Please come and enjoy winter in Hachimantai.